AUSTRALIA’S MOST AWARDED COFFEE ROASTER WITH 46 AWARDS SINCE 2010! Let us introduce ourselves; we are Jason and David Narciso and coffee runs through our veins. We own, and operate Elixir Coffee every day and have built our business on our passion for speciality coffee. We draw on our expertise and high standards from being exposed to the fine art of coffee roasting from two generations of our family. Our knowledge of the coffee industry started way back when our mother, Carmel joined forces with her family and bought Cosmopolitan Coffee in a small shop front in the Brunswick Street Mall in Brisbane during the 1980’s. The 1980’s heralded a large growth and demand for the family’s specialty coffee and it wasn’t long before they relocated to larger premises, expanded their operations and gave the market what it wanted – freshly roasted coffee beans for wholesale clients, allowing cafes across the city to cater to the demands. Business boomed and Cosmopolitan Coffee was the first wholesale and retail roasting house in Queensland! Armed with this industry knowledge and first-hand experience that only comes from being raised on coffee,we realised that we too wanted to be a pivotal part of the industry. 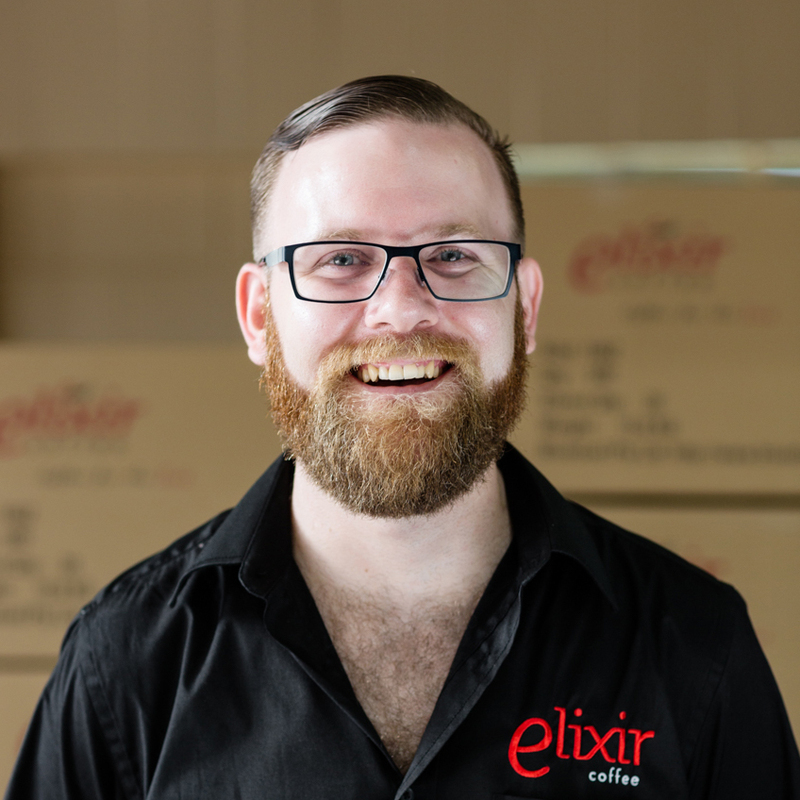 In our early 20’s, we owned and operated a number of successful cafes in Brisbane before returning to our roots of roasting fresh speciality coffee, and so in 2007 Elixir Coffee was born. We’ve both been immersed in the coffee industry from the ages of 5 and 8, from washing dishes to roasting the beans ourselves so it’s safe to say coffee runs through our bloodline. The most rewarding part of the business is sharing our expertise that only decades in the coffee industry can teach, with people who are as passionate about coffee as we are. 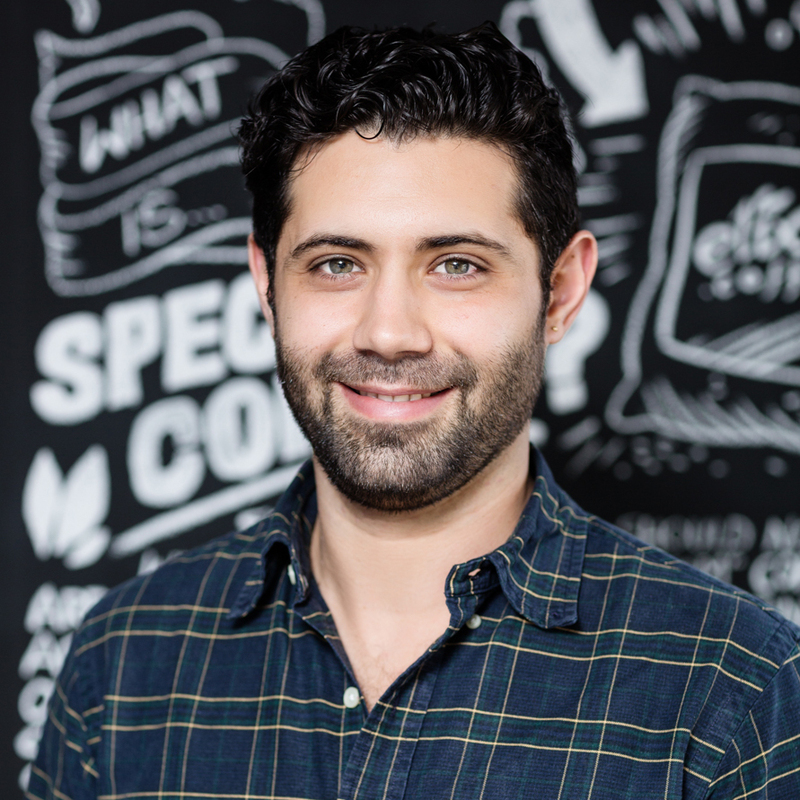 Elixir Coffee expanded rapidly and continued to grow and grow over the past decade, serving up to one million cups of coffee a month to coffee lovers across the country. We are fiercely proud of our multi-award winning brews which are expertly roasted out of our Roasting Warehouse occupying a large base next to our Retail and HQ Espresso Lounge, located at our headquarters in Brisbane. Our retail shop sells all things coffee and the HQ Espresso Lounge serves an extensive breakfast, lunch, coffee and sweets daily, so Elixir HQ really is a one-stop shop for coffee lovers. Elixir was born from good old-fashioned family values and every customer is greeted as such. We look forward to welcoming you through the doors to enjoy some fabulous food and a cup or two of our sensational brew, all whilst you take in the aromas of our freshly roasted coffee next door. Also, setting us apart is our focus on coffee training and education. We offer training for wholesale and retail customers to enhance their knowledge, skills and passion for the coffee industry. We take great pride in empowering customers and clients with our years of knowledge and passion. The 1 ½ hour Home Barista 101 course was created to show people that it is possible to create cafe quality coffee at home. If you currently have a home espresso machine and/or grinder and your coffee isn’t as good as the coffee at your local cafe – do this course! Alternatively if you are looking to buy an espresso machine we can offer you a machine & course package which will ensure you hit the ground running. Our trainers understand the coffee making process, the relative importance of all of the variables (both under the baristas control and those to which the barista must react). More importantly Elixir Coffee trainers know how to get the message across. We guarantee that by the end of your session, you will be happily serving coffee to the best of your ability! You will learn how to tell if the espresso extraction is correct, what to do if it’s not, and how to properly steam and pour milk. Correct machine cleaning and maintenance is also covered, as well as how to set your grinder correctly. Sound interesting? Ask one of our friendly team members at Elixir HQ, or contact us on training@elixircoffee.com.au and take your coffee skills to a new level. We like to think of all our customers, big and small, as part of the family. We look forward to seeing you at our roasting house very soon. 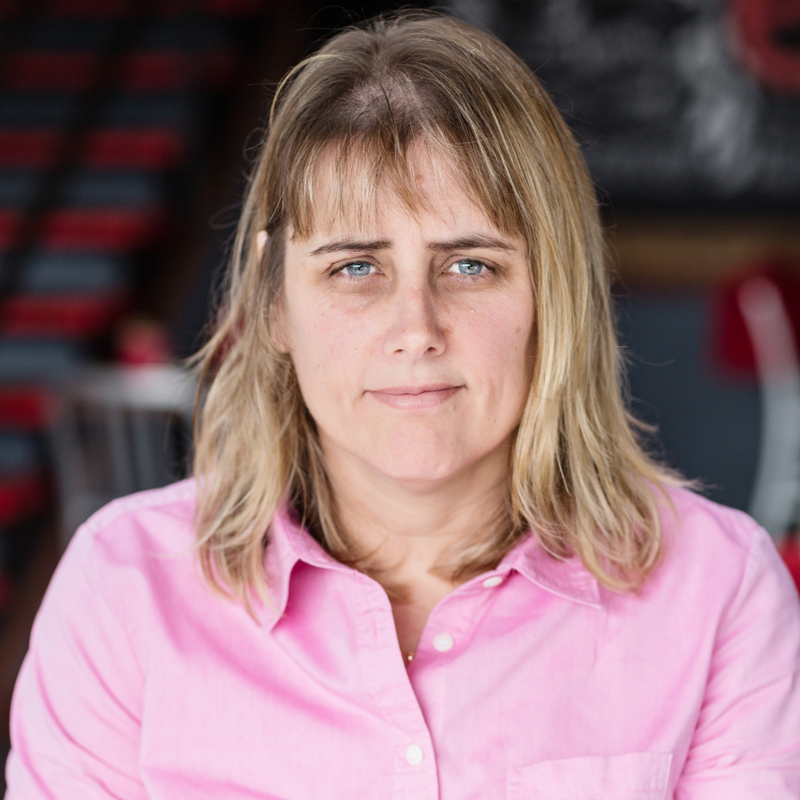 Loretta is like part of the family – she’s been with us for over 15 years across a number of our industry businesses. Loretta started out as an administration superstar managing the office and our accounts for years. In 2007, when we started Elixir Coffee, we knew we had to bring Loretta on board as our Administration Manager. Another one of the many hats she wears is to operate our HR and finances. Loretta cherishes her interactions with customers, ensuring they are satisfied is her main goal. However, she doesn’t do it on her own; Loretta works with a tight-knit team of three to deliver these results. 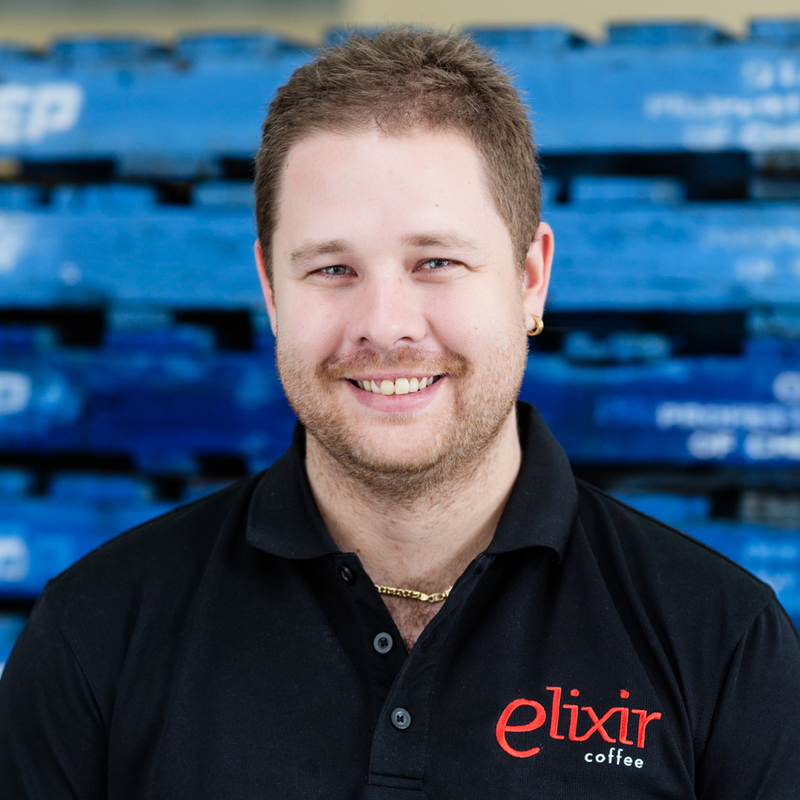 Josh joined the Elixir family in 2009 when we experienced huge wholesale growth. Hailing from 10 years experience in warehousing, Josh’s go-getter attitude, attention to detail, and passion for the Elixir brand saw him promoted to Dispatch Manager in no time. Josh and his team service orders from every corner of the country. Dispatch, goods receivable, wholesale deliveries and production management all fall under Josh’s umbrella. We count on Josh to keep the wheels in the Elixir cog turning. With 14 years in the industry – the last 6 with us! – Chris has been a barista extraordinaire from the early stages in his career, placing top 30 baristas in New Zealand in 2005. He loves hospitality so much, and it shows, he was even a former chef so he knows all aspects of the business! Twelve months after he joined us he became Head Barista and held that role until being promoted to full-time Head Trainer in 2015. 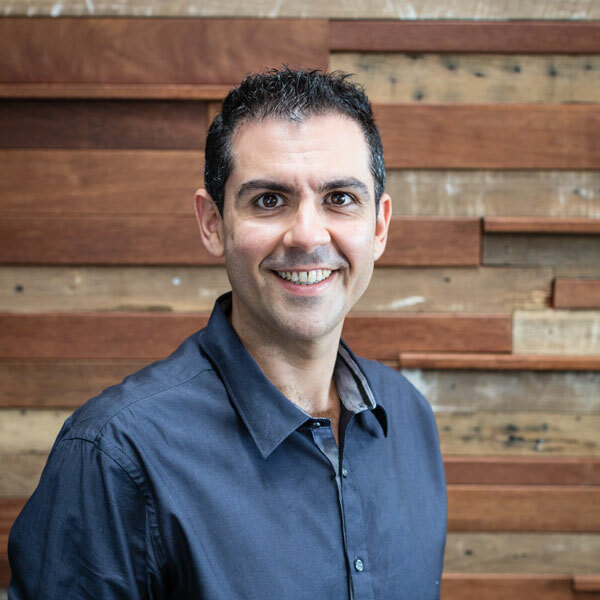 Christos-the-Baristos as he is affectionately known around HQ, has been doing domestic and commercial training for us for the last 4 years and is known to love a pouring competition or two!